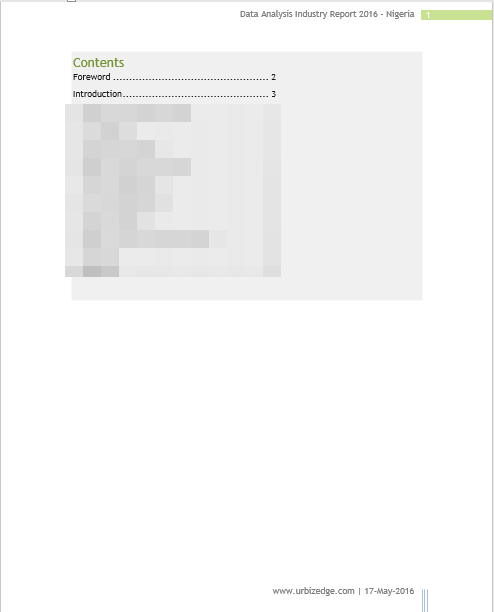 I am already working on the whitepaper I talked about two months ago. Thank you to everyone wo participated in filling the survey. I am done with the introduction; currently working on the body. Below is the text of the foreword and introduction. Do let me know your feedback/suggestions. Thanks! Data is the new crude oil. And business success in the 21st century is heavily reliant on the ability to mine and use relevant data about consumers, internal operations, financial operation and industry trend. This has given rise to a new fast growing industry: the data analysis industry. Globally, it is a $16 billion industry and growing at a rate of 15% yearly. However, in Nigeria it is estimated to be about $150 million market and there are no strong local players in the industry. About 90% of the industry is serviced by foreign providers like Oracle, SAP, Microsoft, IBM and Tableau. They often sell mass produced solution offerings that users have to modify their operations or data to fit into which is creating a huge market opportunity for a more flexible better product local provider with deep knowledge of the Nigerian market. And that is where UrBizEdge comes in. We are the flexible better product local provider with deep market knowledge to service the Nigerian market. 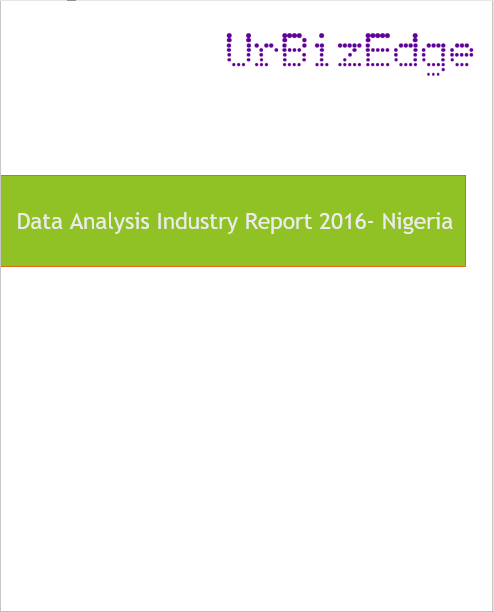 From our experience working with companies – from multinationals to small businesses – we have gained a lot of knowledge about the Nigerian market and this report is a clear presentation of that knowledge for the benefits of business leaders, data analysis enthusiasts and every business that is seeking to use data to improve its operations. 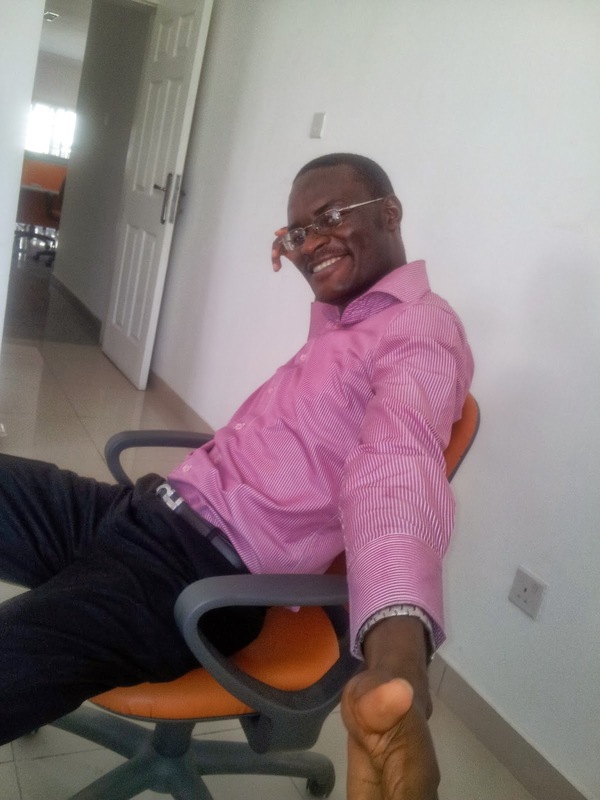 As the lead consultant for UrBizEdge, I have been fortunate to catch the early waves of the data analysis ocean, and it has afforded me the rare privilege of seeing an entire industry come to life in an interesting market like Nigeria’s. In interacting with dozens of companies and hundreds of business professionals, I have experienced first-hand the perceptions – both wrong and correct – that business professionals have about data analysis. I have seen business executives struggle with being on top of their business operations data; I have seen analysts confused by the plethora of tools available; and I have seen everyone confused by the different terminologies (business intelligence, data analysis, data analytics, business analysis, data visualization, etc.). I hope this report will reduce the number of people confused, and help business leaders and data enthusiasts make better informed decisions. Data analysis can be descriptive, exploratory, predictive or prescriptive analysis. Descriptive analysis focuses more on using data to explain what has happened in a predefined way. Exploratory analysis is a similar to descriptive analysis but focuses more on discovering new relationships within the data analysed. So while it also seeks to explain the past (descriptive analysis), it focuses more on discovering new links within the dataset rather than testing predefined relationships (metrics and KPIs). Predictive analysis goes further than descriptive and exploratory analyses; it focuses more on the future, trying to explain what could happen. Prescriptive analysis is a step ahead of predictive analysis, using algorithms to automate decision making based on the output of the predictive analysis. Recently, there has emerged new distinct forms of data analysis. And these are the ones that confuse most people. They are business analytics, business intelligence and big data analysis. I also see people confuse business analysis with business analytics. 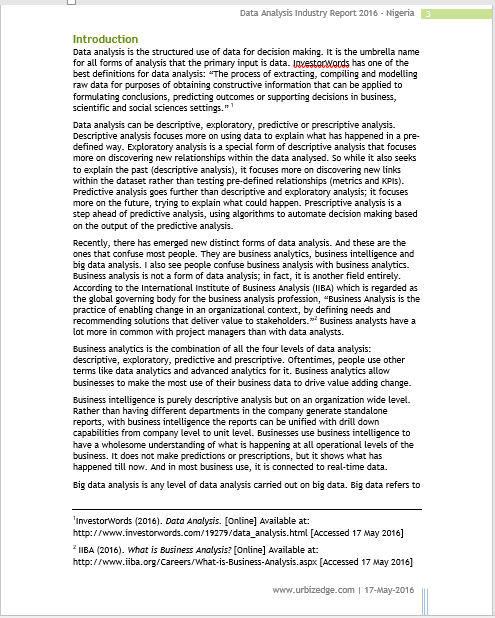 Business analysis is not a form of data analysis; in fact, it is another field entirely. According to the International Institute of Business Analysis (IIBA) which is regarded as the global governing body for the business analysis profession, “Business Analysis is the practice of enabling change in an organizational context, by defining needs and recommending solutions that deliver value to stakeholders.”2 Business analysts have a lot more in common with project managers than with data analysts. Business analytics is the combination of all the four levels of data analysis: descriptive, exploratory, predictive and prescriptive. Oftentimes, people use other terms like data analytics and advanced analytics for it. Business analytics allow businesses to make the most use of their business data to drive value adding change. Business intelligence is purely descriptive analysis but on an organization wide level. Rather than having different departments in the company generate standalone reports, with business intelligence the reports can be unified with drill down capabilities from company level to unit level. Businesses use business intelligence to have a wholesome understanding of what is happening at all operational levels of the business. It does not make predictions or prescriptions, but it shows what has happened till now. And in most business use, it is connected to real-time data. Big data analysis is any level of data analysis carried out on big data. Big data refers to data that is very large (high volume), comes in very fast (high velocity) and is a combination of both structured and unstructured data (variety). Any form of analysis for big data requires some special tools (new technologies) that are different from the traditional tools used for data analysis. That is why it is separately classified as big data analysis. And in reality, the businesses using big data all try to use at the predictive or prescriptive data analysis level. This is a great post! As a new blogger myself, I search for new ways to attract new people to read my blog.